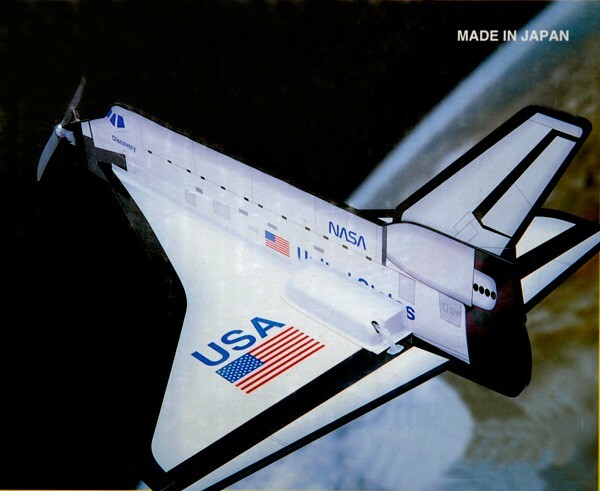 The EZ Space Shuttle 10 is a low profile low-wing ARF balsa model. It comes pre-covered with film with a NASA scheme. It can be powered by a 9~10 size 2-stroke engine.